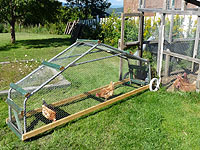 You want to move your chickens in your garden without they destroy plants and vegetables? Choose a right place for your chickens. Whit a chicken tractor or portable chicken coop on wheels, they will eat insects and till soil. 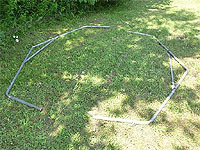 It's a permaculture tool! 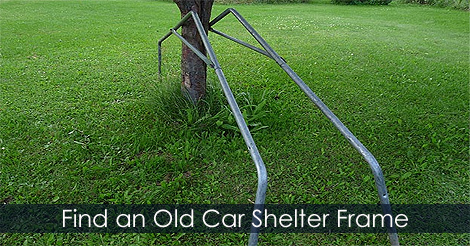 First, for making a cheap mobile chicken coop you need to get an old car shelter frame. 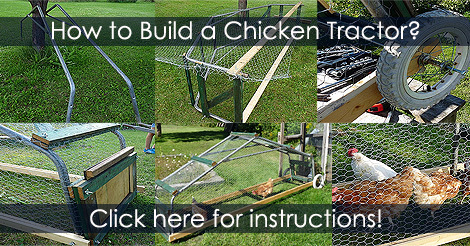 Learn how to find and choose your free mobile chicken coop or chicken ark frame.